Writing seems to be Anisha’s passion. She took to Instagram to write on her new relationship status. It is official and comes straight from the horse’s mouth! 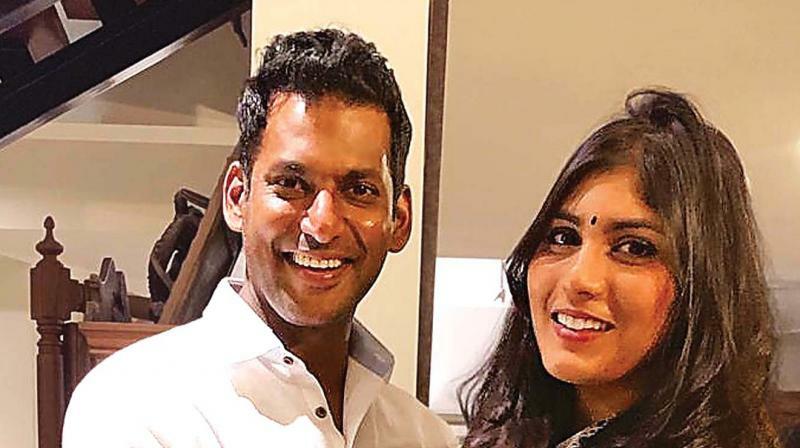 Vishal, the tall, dark, handsome hero and the most eligible bachelor in K’town is soon to tie the knot with his sweetheart Anisha Alla Reddy from Hyderabad. The TFPC president confirmed to DC that it was he who first proposed to Anisha when he met her at Vizag while shooting for Ayogya. “She is God sent,”, an ecstatic Vishal said. Anisha is an actress who did a few films like Arjun Reddy and Pelli Choopulu and is a social worker based in Hyderabad. Hailing from a business family, she is the daughter of industrialist Dinesh Reddy and Savita. A picture of a girl was circulating in the media, but the Sandakozhi star was quick to clarify that it was not of his fiancée. In an exclusive to DC, Vishal spilled the beans about how it all started and his wedding plans. Writing seems to be Anisha’s passion. She took to Instagram to write on her new relationship status. “To the start of something new! Thank you all for everything you’ve done; Been a part of my growth, my learning, my observations, my inspiration, my truth, my hurt, my strength, my reason or all that has brought me to where I am today, who I am today.